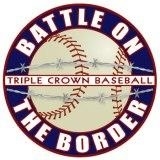 The team has started securing tournaments for the 2012 season, and we are very happy to be the 28th and final team registered for Battle on the Border in Youngstown, OH on June 8-10. This is the largest Triple Crown Sports tournament in the Midwest and the 10u games will be held at the Field of Dreams. The Greyhounds will compete against teams coming from 5 states in the Midwest.